“Remember that children, marriages, and flower gardens reflect the kind of care they get.” ~ H. Jackson Brown, Jr. So you see the picture of summer that I drew with the keywords, butterflies, sunshine, warmth, flowers and garden. These are the things I think of when I imagine summer. 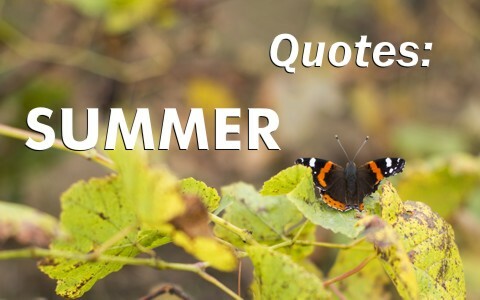 Perhaps you have found a Christian quote for summer that you can share with someone else — write it down below in the comments section. Previous post: Who Were The Hittites In The Bible? Next post: Should A Politician’s Faith Matter For The Voting Christian?